Is city life getting the best of you? Think peace and serenity at The Lodge at Cane Creek. 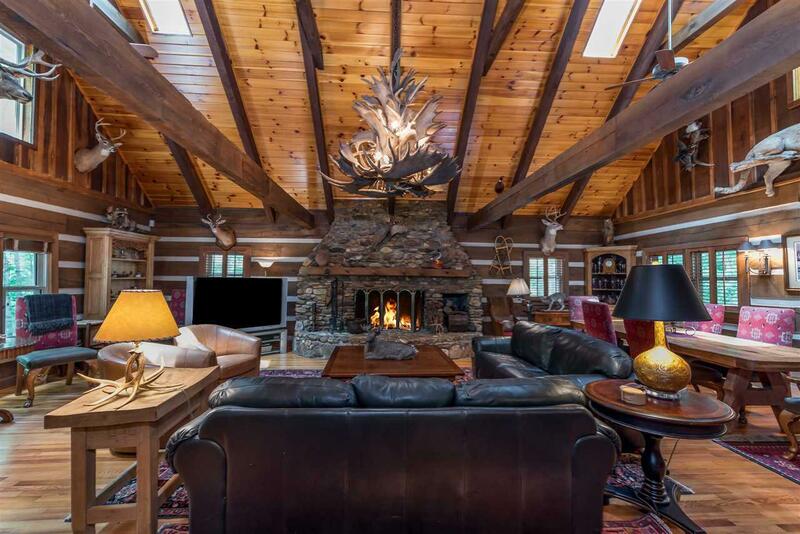 This 80-acre estate is nestled in the South Mountains of Western North Carolina. The community of Cane Creek Mountain is spread out over 720 acres with only 24 parcels. 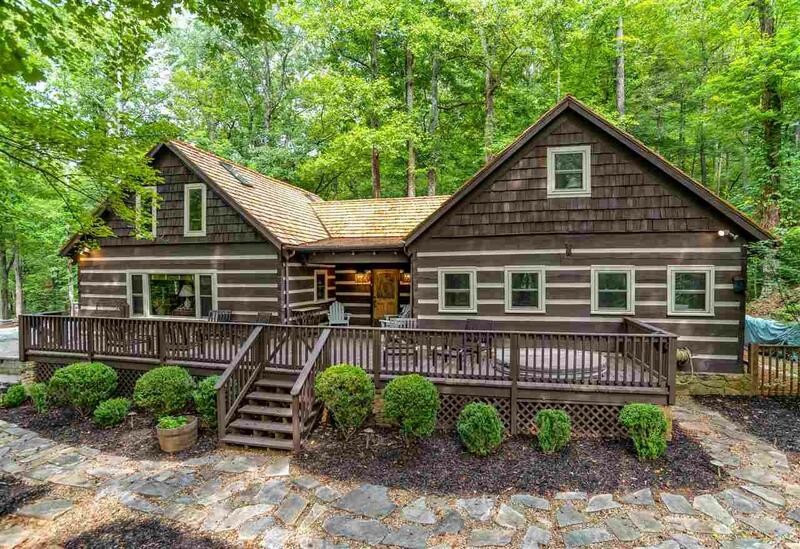 The home was built with 6x12 dovetail logs harvested from the property. The large great room features an over-size fireplace and is great for large gatherings. If the outdoors is calling you, just think hunting, fishing, and horseback riding on your own property. The custom built barn is built of cedar with a cedar shake roof and has been highly customized with adjustable stalls. Your horses can graze in the fenced pasture area. There is a detached garage with a 700 sq.ft. apartment above. Also included is a 1-acre pond stocked with fish and has a beautiful fountain. You can relax by the pond and enjoy a cozy fire by the rock firepit. If you need a place to enjoy a workshop or store your toys there is another 30x36 outbuilding with electricity. Is city life getting the best of you? Think peace and serenity at The Lodge at Cane Creek. 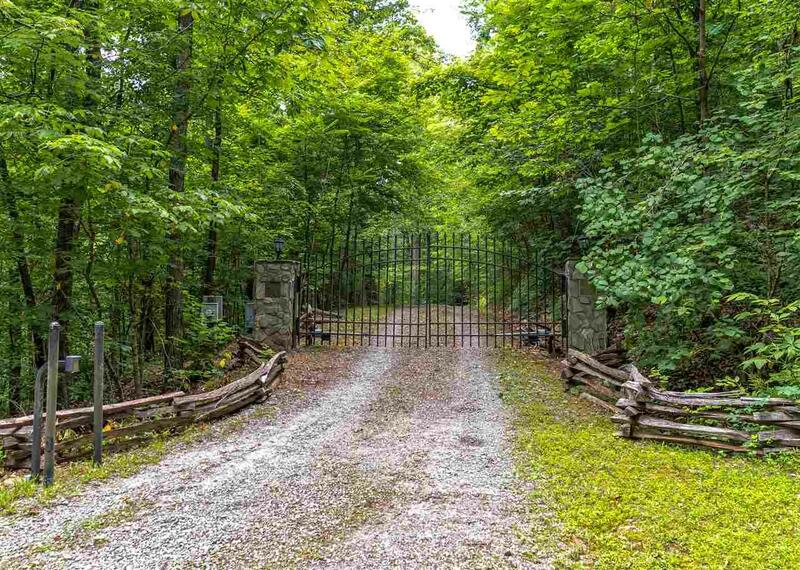 This 80-acre estate is nestled in the South Mountains of Western North Carolina. The community of Cane Creek Mountain is spread out over 720 acres with only 24 parcels. 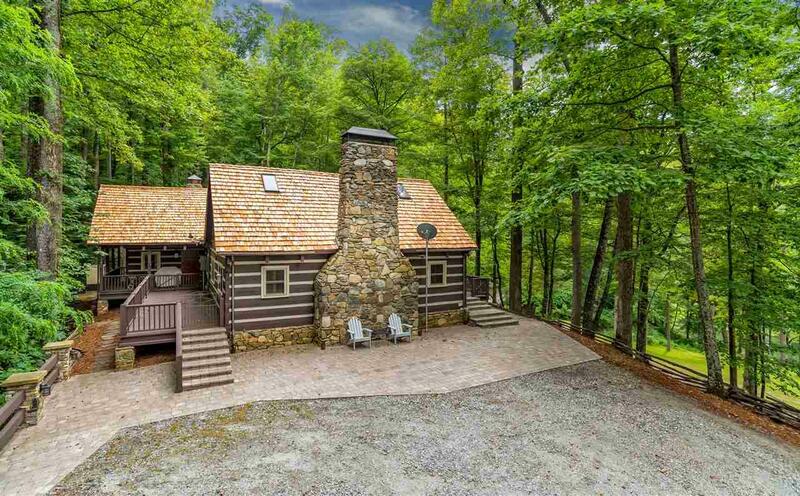 The home was built with 6x12 dovetail logs harvested from the property. The large great room features an over-size fireplace and is great for large gatherings. If the outdoors is calling you, just think hunting, fishing, and horseback riding on your own property. The custom built barn is built of cedar with a cedar shake roof and has been highly customized with adjustable stalls. Your horses can graze in the fenced pasture area. There is a detached garage with a 700 sq.ft. apartment above. Also included is a 1-acre pond stocked with fish and has a beautiful fountain. You can relax by the pond and enjoy a cozy fire by the rock firepit. If you need a place to enjoy a workshop or store your toys there is another 30x36 outbuilding with electricity. Storage Space Garage Out Buildings W/ Elec.